Kingsford Smith Intl. 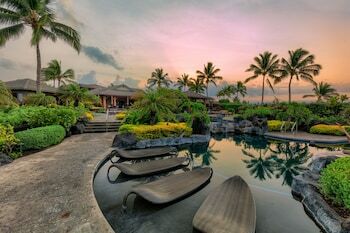 - Kona Intl. When you’ve gotta get away, the last thing you want to worry about is your tan line. Wait. Actually, that’s the first thing on your “Important Travel Stuff” list. Well, if you catch some rays on Hawaii holidays, you’ll be golden. Add snorkelling, amazing eats and lava tubes and it sounds like a party. 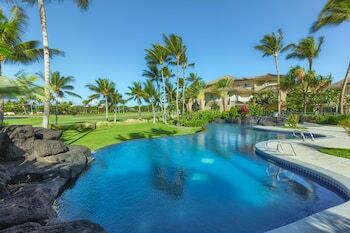 Whether you’re on the hunt for adventure, scouting out a quiet hideaway or hoping to find a good-looking lei, “The Aloha State” can deliver all that with a dash of pineapple juice. 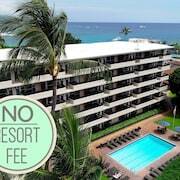 Now that’s settled, start scooping up the Hawaii deals like sand on Waikiki Beach. 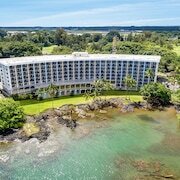 With eight main islands and islets for days—and coast-to-coast activities—our Hawaii holiday deals come in handy. 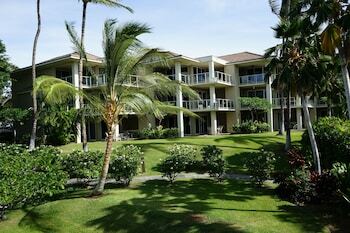 Scoping out Hawaii care hire options is a good idea, too. Plan your itinerary and let lastminute.com.au go crazy. If you’ve never charged a wave—aka surfed like a boss—Hawaii is the place to start. With breaks for all skill levels, all you need is a board and a beach. Strengthen your sea legs on the milder waves of Hanalei Beach in Kauai. 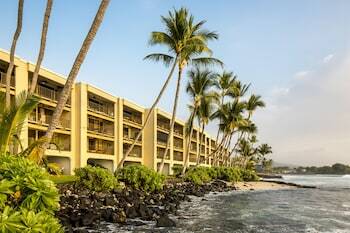 For advanced currents and a little turtle watching, float over to Laniakea on Oahu’s North Shore. Skip the surf altogether and take a hike out to the gorgeous Haleakala Crater in the Haleakala National Park. After exploring the local terrain, get to know the cultural landscape with a visit to the WWII Valor in the Pacific National Monument in Pearl Harbor in Honolulu, Hawaii’s capital and only major metropolis. Stick to the North Shore like spray tan on a tourist for the best outdoor shopping districts, starting with the vintage vibes of Haleiwa, a village brimming with galleries and boutiques. On the Big Island, Kailua-Kona is the one-stop shop for department stores and Farmers Market finds, including world-famous coffee beans. 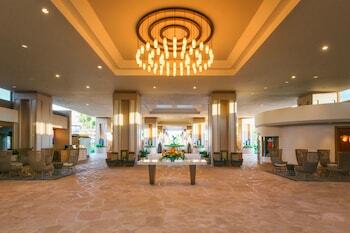 If you want to lux out, strut you stuff through Waikiki, home of designer flagship stores. 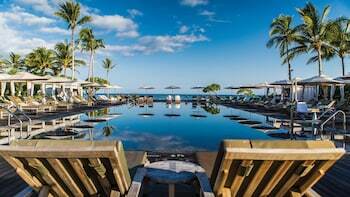 While you’re shopping in Waikiki, give in to the delectable smells wafting from beachfront pubs, corner barbecue stands and the in-house restaurants at five-star hotels. On whatever island you can home base, head to the coast for your pick of local favourites and fine dining with a wicked-fine view. Smoked or grilled fish is always a good bet, as is Hawaii’s signature cocktail, the mai tai—no, it’s your tai. 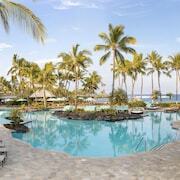 Not all Hawaii packages come with a traditional luau experience, but your holiday definitely should. With several luaus all over the islands, you’re sure to find good stories, more roast pig than you can eat and an excuse to sway your hips with perfect strangers. Kailua-Kona locals host several luaus, as do folks in Honolulu and Kapolei. If you’re looking for shenanigans, look no further than downtown Honolulu. 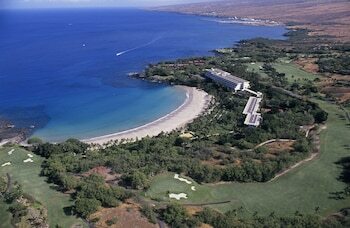 Expect to see fewer grass skirts and more tan lines. Let’s go to Hawaii! 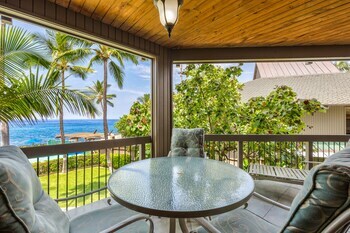 Mix and match airfares and accommodation to build your dream Hawaii holiday packages right here on lastminute.com.au. Heck, see the mainland and make this a balls-to-the-wall holiday to the United States. You know you want to. Climb to the top of Hawaii Island’s tallest volcano to witness some of the best sunsets in the world. Witness the awesome power of earth’s volcanic forces and learn how this phenomenon has shaped Hawaiian culture. Explore the calm waters of this former royal beach, teeming with colourful marine life. Leave the crowds behind and head to this hidden beach paradise, one of Hawaii Island’s best-kept secrets. Learn all about the ancient culture and traditions of native Hawaiian populations at this fascinating national park, home to both archaeological and natural wonders. 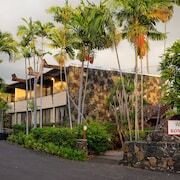 Visit these former royal grounds and sacred refuge to learn all about ancient Hawaiian society. Venture out across the water or over rugged terrain to this remote monument commemorating the famous British explorer. Discover the diverse origins of Hawaii’s most popular plants at this beautifully-designed botanical gardens. Relax on the pristine sands of this luxury beach resort, one the most expensive hotel ever built on the island. The idyllic white sands and clear blue waters of this coastal stretch offer endless entertainment for visitors of all ages. Admire the breath-taking spectacle of some of Hawaii’s most famous waterfalls at this family-friendly state park. This sheltered bay offers some of the best snorkelling spots on the coast, as well as a safe and family-friendly beach. A journey to the northern tip of Hawaii Island is rewarded with spectacular views across untouched landscapes and the endless blue ocean. Fri., 2 Aug. - Thu., 8 Aug.